Have you missed the second story of your home? What about access to your garden or outdoor spaces? Use your stairs again; install a stairlift in or around your home. Stairlifts can increase access and improve autonomy of anyone with physical limitations, which directly impacts overall quality of everyday life. Have you been missing the upstairs of your home? Do you have full access to all of the areas of your home? If access is an issue for you in your living situation or home environment, consider how mobility aids might make your life a bit better and make your home a whole lot more accessible and enjoyable. Celebrate National Take the Stairs Day on the 2nd Wednesday in January; what better time to ‘take the stairs’? If you, yourself, don’t struggle with physical disabilities or mobility issues, consider what you may do to make the life of someone who does easier. From installing aids to accompanying someone to the store, there are many ways to show support and solidarity for the seniors or individuals with physical limitations any time of the year. Wouldn’t you like to Use your Stairs Again, Install a Stairlift today! 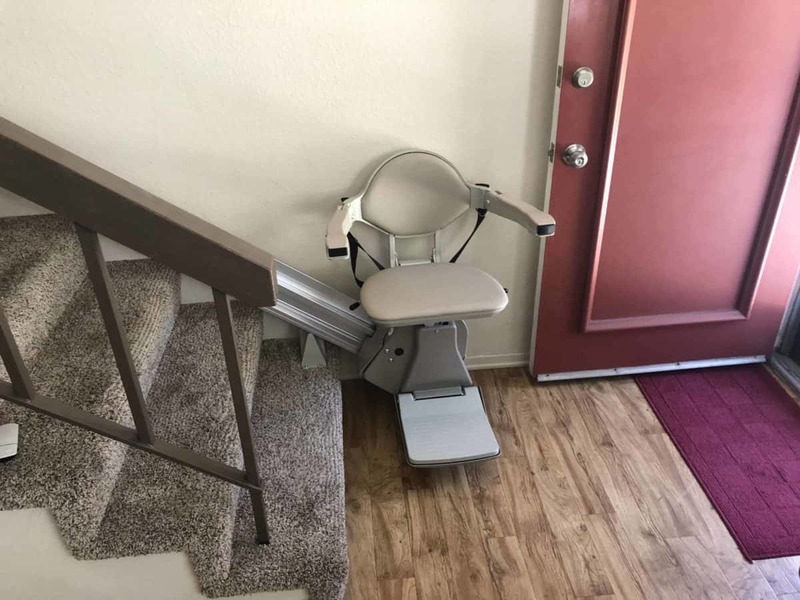 Okay, maybe installing a stairlift today is not practical or even feasible, but it is plausible to have a needs assessment and check out stairlift options imminently. Mobility vendors will set up appointments to come and install your lift and show you the proper operating procedures for optimal performance. Concerned that a lift will fit in your home? Stairlifts are now constructed to deal with inherent housing issues, like curved stairs, deep risers, or narrow flights. Talk more to your mobility dealer to learn about the basics that will help you get the most from your lift. Don’t feel limited to a conventional stairlift when looking at accessibility options for your home; consider also styles such as freestanding, porch, and pool lifts to restore your access and independence around the home. Make sure that the mobility vendor you work with assesses your needs thoughtfully to find you the best aids and devices – that fit your budget – and that installation, service, and support are also part of the purchase. It is estimated that nearly 80% of falls sustained by seniors over the age of 65 occur in the bathroom. This is probably not surprising, given that there are potentially wet surfaces that could become slippery underfoot. Check out your available options in shower and bathroom aids, like shower-buddy, tub-seats, and rails that clamp on to the side of your tub. Make sure to add a grab-bar near the toilet and vanity to curb falls during activities of daily living (ADLs). The goal is to prevent a nasty fall and subsequent trip to the Emergency Room, as these can have a debilitating impact on the wellbeing, independence, and quality of life for a senior. Around 1.6 million seniors seek emergency treatment at the hospital due to a fall each year; in fact, around one-fourth of seniors over 65 that fall and break a hip pass away from their injuries within six months. If scooters, chairs, and walkers will help you gain access around the home, or elsewhere, why wait? Talk to your physician first to determine if you may be able for prescription aids covered by insurance. Visit mobility vendors to try, view, and demonstrate different styles and models to find the best one for your distinct needs. Don’t underestimate the merits of something as simple as grab-bars, reaching tools, and canes when it comes to everyday assistance and ‘taking the stairs.’ These items are inexpensive, widely available, and simple to use. Check out the selection at mobility dealers and sites today! Get back in the driver’s seat with adaptive devices and equipment for your vehicle, like lifts and devices to open and close garage doors. Transportation can be a real hurdle for many seniors or individuals with any kind of physical limitation; and if you manage to get to your car or truck, how do you stow your equipment (like a walker or chair) when you are by yourself? Talk to the mobility team to find vehicle lifts that store and stash your device while you take your place behind the wheel. Technology is amazing when it comes to adaptive aids and assistance. If you have areas of your home that are inaccessible due to stairs, consider implementing mobility aids to regain access and control over your life. Mobility aids, like stairlifts, can help you- or someone you love- become more autonomous and independent, which is something many struggle to maintain. Do something special this January and take the stairs, and while you are at it, show support for someone who can’t.